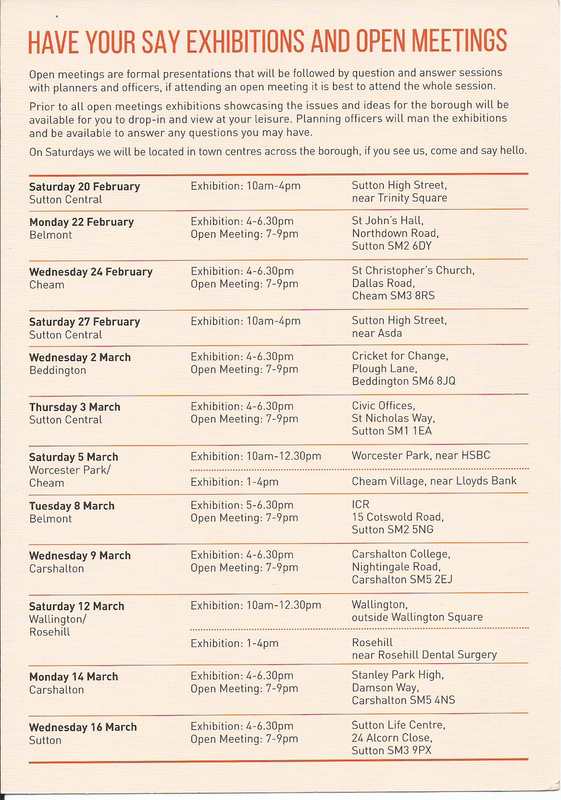 Sutton Council’s Local Plan is up for review, with public consultation taking place from 18 February to 8 April 2016. The NDG cannot stress enough how important it is that you get involved in this consultation and comment. Local Plans set out a vision and a framework for the future development of the area, addressing needs and opportunities in relation to housing, the economy, community facilities and infrastructure – as well as a basis for safeguarding the environment, adapting to climate change and securing good design. What was in the last plan? The last plan was adopted in 2009. The map below is from this and shows you areas where they have agreed for ‘mid-rise and tall developments’ and to make Hackbridge a district centre. This means already that developers know what heights they can build to, hence recent plans for 9-storey flats by Hackbridge Train Station. The NDG was not formed in 2009, so could not have an input. Planning documentation can be boring to read, which is why there is often a lack of interest and feedback. It means maps like this automatically get agreed if no-one challenges them and the community ends up with buildings they have little say about. District centre: Groups of shops, separate from the town centre, usually containing at least one food supermarket or superstore and non-retail service uses such as banks, building societies and restaurants. Local centre: Small groupings of shops, typically comprising a general grocery store, a sub-post office, occasionally a pharmacy and other small shops of a local nature.